The standoff between Indian and Chinese forces on the Dolam Plateau is entering its fourth week. India and China have both miscalculated, with potentially dire consequences. China clearly did not appreciate the sensitivity that India attaches to any Chinese presence on the Jampheri Ridge south of the plateau and the implications for the security of the Siliguri Corridor that connects eastern India with the rest of the country. A decade ago, for example, Indian soldiers training the Royal Bhutanese Army in Bhutan challenged a Chinese foot patrol that was discovered along the ridge. India, however, clearly did not appreciate the degree to which China believes it has already established a presence on the plateau, which forms part of China’s dispute with Bhutan in this area. In either the 1980s or early 2000s, China built a dirt road from the Chumbi Valley in Tibet to Shenche La that Bhutan views as the border with China, and then onto the Dolam Plateau. In fact, this road terminates perhaps just 100 metres from the Indian outpost at Doka La, near the site of the current standoff. Probably at the end of the 2000s, China enhanced or regraded the road and added the “turning point” where Chinese vehicles turn around to return to the Chumbi Valley. The road is likely used only in the summer months to facilitate patrols in the area (including surveying Indian presence at Doka La). Here’s a crazy idea floating around Washington these days, outlandish even by today’s outlandish standards: The United States should hire a mercenary army to “fix” Afghanistan, a country where we’ve been at war since 2001, spending billions along the way. The big idea here is that they could extricate U.S. soldiers from this quagmire, and somehow solve it. Not surprisingly, the private-military industry is behind this proposal. Erik D. Prince, a founder of the private military company Blackwater Worldwide, and Stephen A. Feinberg, a billionaire financier who owns the giant military contractor DynCorp International, each see a role for themselves in this future. Their proposal was offered at the request of Steve Bannon, President Donald Trump’s chief strategist, and Jared Kushner, his senior adviser and son-in-law, according to people briefed on the conversations. It could get worse. In a recent Wall Street Journal op-ed, Prince laid out a plan whereby the fighting force would be led by an American viceroy who would report directly to Trump. Modeled after General Douglas MacArthur, who ruled Japan after World War II, the viceroy would consolidate all American power in a single person. His mission: Do whatever it takes to pacify Afghanistan. No more backseat driving of the war from pesky bureaucrats in Washington, or restrictive rules of engagement imposed on soldiers. An American viceroy with a privatized fighting force would make trains run on time in Afghanistan—if they had trains. Global warming is now contested by few; it is part of our personal experience. It has intensified over the past two decades, and will get worse before long. Remedial action against it is urgent. Such action has, however, been impeded by the fact that it is an external diseconomy: my actions to reduce global warming benefit the rest of the world more than me, and I do not see why I should act unless my fellow humans pay me. Hence international action is unlikely unless all - or most of the important - countries agree to cooperate. Assuming that they did, the question would arise what action they could take. An obvious measure would be to tax carbon emissions. The World Bank created a Carbon Pricing Leadership Coalition for this purpose. It appointed a commission chaired by two economists: Joseph Stiglitz, professor at Columbia University, and Lord Stern, the I.G. Patel Professor in the London School of Economics. For convenience, I shall call the carbon pricing commission Stistern Commission. The commission had before it two models that had been tried out. One is the United Nations Framework Convention on Climate Change. This convention was called together in 1992. Subsequently, its members have met every few years and exchanged voluntary promises to cut emission. Their last collective act was the Paris agreement of 2015; 185 countries met and agreed to meet every five years to look at what they had achieved and revise their promises. This is the agreement on which Donald Trump has reneged; the United States of America being the world's biggest emitter, its exit must leave the agreement pretty limp. India’s relations with Nepal and Bhutan are formally founded on key treaties — the 1950 India-Nepal Treaty of Peace and Friendship and the 1949 Treaty of Friendship with Bhutan. 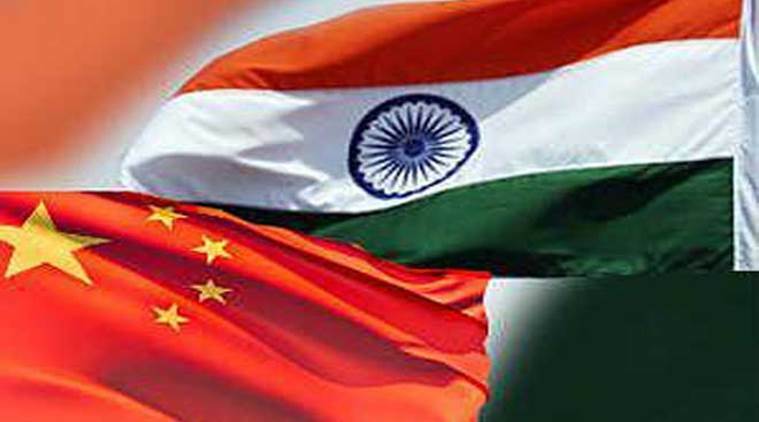 Politically, India’s bilateral ties with these two Himalayan neighbours have an important strategic significance as both these countries serve as a buffer zone between India and China. Today, there is plenty of room for further deepening India’s ties with both Nepal and Bhutan, and the recently signed BBIN Motor Vehicles Agreement holds promise. For the progress and expansion of economic links, however, it is necessary to develop the requisite hard and soft infrastructure. This report makes an assessment of the different facets of India-Nepal and India-Bhutan bilateral cooperation, comprising issues related to trade-transit, customs and joint border management, legal framework of existing bilateral agreements, and energy cooperation. RIYADH – As many as five thousand troops of Pakistan Army would likely be joining Islamic Military Alliance to help Saudi Arabia safeguard its southern region which borders Yemen, it emerged on Monday. Although the former military head General Raheel Sharif has already departed to Saudi Arabia after securing No Objection Certificate to head the 41-nation military alliance but reports are rife that a brigade of Pak Army would now be joining the alliance. The final decision regarding the number of soldiers and its terms of reference have not been finalised yet but it is being murmured that army chief General Qamar Bajwa in his Saudi Arabia visit decided to send the brigade in a bid to strengthen the alliance. According to a report by Daily Khabrain, director General ISPR, Asif Ghafoor had already hinted at the possibility that Pak Army would not indulge in any battle outside the territory of Saudi Arabia. On the other hand, renowned US daily, Wall Street Journal published an interview of Major General Ahmed Asiri, the adviser to the Saudi minister of defence, who discussed the scope of the military alliance, its structure, mission and expressed that it would be used to wipe out terrorism from Muslim world. Pakistan Prime Minister Nawaz Sharif’s fate is said to hang in the balance in light of the publication of the Panama papers and the legal and political processes that have been set off. In April, the Supreme Court ruled in a 3-2 judgment that the case against Mr Sharif was not conclusive and ordered a joint investigation team (JIT) to probe the allegations. The JIT findings are damaging to the PM. Is Mr Sharif in serious trouble, and if so are there implications for India? On Monday, the Pakistan Supreme Court began hearing the different parties — those seeking his resignation and those questioning the JIT findings. Due to the Army’s complete control on all other institutions in the country, questions will be asked about the genuineness of the noise raised by the Opposition parties against Mr Sharif’s continuance. For the same reason, the integrity and impartiality of Pakistan’s highest court has for many years been a subject of scrutiny. The Army on Sunday pointedly sought to distance itself from JIT-related concerns, but few are likely to take these disavowals at face value. A member of the JIT is from the all-powerful spy agency Inter-Services Intelligence, Pakistan’s “shadow state”, and another from military intelligence. This alone raises a question mark over its findings. The most vociferous opposition to Mr Sharif’s continuance has come from Pakistan Tehreeq-e-Insaf (PTI) leader Imran Khan, who has often given the impression of furthering the military’s agenda. The last time American Marines were in Helmand Province, they had a sweeping mission and the resources to carry it out. Tens of thousands of Marines flooded the southern villages here, and they had tens of millions of dollars in cash to throw into projects that would bolster local support. They spearheaded some of the bloodiest battles of this long war, losing 349 dead in the process, but they succeeded in turning much of what had been prime Taliban and opium territory over to the Afghan government. Then, following the Obama administration’s deadline to have combat forces out of Afghanistan by the end of 2014, they went home. Now they are back in Helmand with a changed mission, looking at an overwhelmingly changed map. Within two years, Helmand, Afganistan’s largest province, all but returned to the hands of the Taliban. Lashkar Gah, the provincial capital and a haven for tens of thousands of refugees from the fighting, has been surrounded for more than a year, and in that time has been infiltrated by insurgents at least three times. The performance of the Afghan forces, left on their own, was catastrophic, with 60 to 70 soldiers dying each week…Read on. This new briefing is based on off-the-record military interviews with both international and local Afghan troops between February and March 2017. At the time of press, NATO had just confirmed that the alliance will increase the number of troops in Afghanistan by several thousand. Our analysis supports the fact that a light-footprint approach to Afghanistan is not working. But crucially, our interviews suggest that it is not necessarily the lack of troops that is doing the most damage to chances of mission success. Instead, the main reason that the conflict in Afghanistan remains locked into a stalemate is the lack of political will to bring maximum pressure to bear on all parties to the conflict to bring them to the negotiation table. The latest cuts to the PLA Army will help make China’s military a leaner, more modern force. On July 11, the official media outlet of the People’s Liberation Army (PLA), China’s armed forces, announced that it will rebalance the two million-strong force by downsizing its army while boosting its navy, missile force, and strategic support force. According to the PLA Daily, the mouthpiece of the military, the number of PLA Army personnel will be reduced to below one million for the first time in its history. “[T]he old military structure, where the army accounts for the vast majority, will be replaced after the reform,” the announcement said. It added that the PLA Navy, Rocket Force, and Strategic Support Force will see an increase in personnel, while the Air Force’s active service personnel will stay the same. China’s Ministry of National Defense figures show that the Army had about 850,000 combat troops in 2013. It is unclear exactly how many troops will be cut from the Army given the lack of official data on the total strength of PLA ground forces. The military intelligence agency stated in the report made public last month that defense cooperation between Russia and China is slowly expanding along with economic ties. Russian officials, according to the report, frequently praise Russia’s ties with China, and Russian President Vladimir Putin has said the Beijing-Moscow ties are the closest in a decade. “In fact, the Russian National Security Strategy lists developing a strategic partnership with China as one of Russia’s most important goals,” the report said. Some in Russia, the DIA report noted, are concerned that the growing power disparity between the two countries and China’s increasing clout will render Russia a “junior partner” to the Chinese. Why Did Sanctions Against North Korea's Missile Program Fail? North Korea’s successful test of an intercontinental ballistic missile (ICBM), allegedly with the capability to hit Alaska, is the latest in a series of significant advances for the country’s missile program. North Korea has been seeking to develop long-range missile technology for over 20 years. For much of this period, the international community has been trying to stop that from happening. My research on how states illegally obtain missile technologies and my experience conducting outreach related to U.N. sanctions give me some insight into the methods North Korea used to make illicit procurements and the limitations in using technology-based sanctions to prevent them. In 2006 – following North Korea’s first nuclear test – the U.N. Security Council prohibited the “supply, sale or transfer” of “items, materials, equipment, goods and technology” that could contribute to the country’s missile program. Efforts to prevent North Korea’s acquisition of missile technology by certain nations – notably the United States – were underway by the 1990s. However, the U.N. sanctions went further by placing standardized legal requirements on all states to prevent the development of North Korea’s weapons of mass destruction programs. Can U.S. Missile Defenses in Asia Stop a North Korean Nuclear Attack? The recent test of a North Korean intercontinental ballistic missile has thrust America’s ballistic-missile defenses in the spotlight. The new missile, known as Hwasong-14, can theoretically reach Alaska or Hawaii. At the same time, there are several U.S. military bases abroad, especially in the Asia-Pacific, vulnerable to North Korean missiles. How does the Pentagon plan to defend American territory and installations abroad? The Hwasong-14 missile is a new intercontinental ballistic missile (ICBM). Being a new design, it is likely hobbled by many factors, including a lack of reliability and a warhead that cannot survive reentry. Still, as the small country has repeatedly demonstrated, North Korea’s talented scientists and engineers can overcome engineering obstacles and make missiles that work. It is only a matter of time before Pyongyang fields a reliable ICBM capable of targeting the continental United States. ICBMs are challenging missiles to shoot down. The long distances ICBM must travel dictate that their warheads come in high and fast. The most practical phase of flight to shoot them down is in the so-called midcourse phase, after the missiles have boosted their warhead payloads into space. The warheads spend several minutes traveling through space, hurtling towards their target, before streaking back down through the atmosphere in the so-called terminal phase. THE NEWSEUM: Artificial intelligence is coming soon to a battlefield near you — with plenty of help from the private sector. Within six months the US military will start using commercial AI algorithms to sort through its masses of intelligence data on the Islamic State. “We will put an algorithm into a combat zone before the end of this calendar year, and the only way to do that is with commercial partners,” said Col. Drew Cukor. Air Force intelligence analysts at work. How big a deal is this? Don’t let the lack of general’s stars on Col. Cukor’s shoulders lead you to underestimate his importance. He heads the Algorithmic Warfare Cross Function Team, personally created by outgoing Deputy Defense Secretary Bob Work to apply AI to sorting the digital deluge of intelligence data. This isn’t a multi-year program to develop the perfect solution: “The state of the art is good enough for the government,” he said at the DefenseOne technology conference here this morning. Existing commercial technology can be integrated onto existing government systems. “We’re not talking about three million lines of code,” Cukor said. “We’re talking about 75 lines of code… placed inside of a larger software (architecture)” that already exists for intelligence-gathering. Lately, there has been a lot of talk about alternate currencies. Not just talk but attempts for a general solution of the “problem of money” as rightly noticed by the Indian constitution’s architect. When we speak of money as a driver of an economic system, stability becomes the most required property and the community becomes the most dominant beneficiary, in ideal circumstances of course. We must throw Traditional Economics out of the door as there is no Reason in pure self-interest and “enlightened self interest” is a fallacy as big as the utopian ideologies. The safest assumption, assuming that economic systems work on assumptions, is that everyone else is lying and cheating and pursuing their greed. That way, a system which comes out is, truly accountable, open and admissible, somewhere around the stairway to the future of block-chain. Monetary systems evolve as a reflection of the community and there is a slight difference between the money of India and money as came to be in western society. Before the arrival of the British, the money of India consisted of both gold and silver coins, which circulated freely without any fixed ratio of exchange between themselves but were fixed to the Mughal’s copper coins which allowed them to appear to circulate at a fixed ratio. It is a truth universally acknowledged that the West won the Cold War. And with the end of this struggle eventually came new European NATO member states — among them, Hungary, Poland, the Czech Republic, the three Baltics States, Bulgaria, Romania, Slovakia, and some of the republics that emerged out of Yugoslavia. But how well can NATO’s “new” allies contribute to their own national defense, let alone contribute to collective defense? Relatedly, how effective have “old” NATO members been in assisting their former adversaries to create modern reliable capabilities? The United States alone has spent billions for training and modernization , as well as assisting in building modern civil ministries of defense. Yet universally, since the end of the Cold War all of NATO’s newer members continue to struggle to create, let alone sustain, reliable modern capabilities. Instead of tackling these problems head on, Western officials have leaned on the old trope that nations need to spend at least 2 percent of GDP on defense. The alliance declared in 2014 that those nations not meeting this goal would endeavor to do within a decade in order to meet alliance commitments and goals. This aim, wittingly or otherwise, is premised on a number of questionable assumptions, not least of which is that increased spending by newer member states will translate into new or more capabilities. Multi-domain battle of 2030-2050 will be profoundly shaped by emerging technology. Autonomous systems will leverage computational advances and processing power to offer increased precision, faster reaction times, longer endurance, and greater range than their manned counterparts. The proliferation of sensors coupled with the internet of things (IoT) will allow constant surveillance and status updates, but at the same time open countless attack vectors for cyber operations. Artificial intelligence (AI) will be employed to shape the “narrative” of unfolding actions by releasing information into the media via the internet that is calculated to psychologically target adversary soldiers in the field as well as their populations to shape perceptions, manipulate opinion and influence morale. Other AI algorithms will focus on spoofing or deceiving adversary algorithms that seek to leverage “big data” by inserting misleading data into mix. Logistics systems and supply chains will be redefined by additive manufacturing that gives the ability to 3-D print parts on demand, vice having to stock, store, and transport them. Human performance will be upgraded not only by augmented reality capabilities but also by “biohacking” with implanted technologies that allow commanders to monitor location, health and status of their troops in the field. This could extend to implants that create a brain-computer interface to boost cognitive ability, aid memory, add new senses, or even directly push data feeds (i.e. allow a soldier to see through an unmanned aerial vehicle’s camera). [ii] However, in this world of flux and constant pursuit of competitive advantage, by far and away the most disruptive technologies will be tactical level electromagnetic pulse (EMP) weapons. Online Book - "The Defence of Duffer's Drift"
The Defence of Duffer's Drift is a short 1904 book by Major General Sir Ernest Dunlop Swinton. It purports to be a series of six dreams by "Lieutenant Backsight Forethought" about the defence of a river crossing in the Boer War. The infantry tactics in the early dreams are disastrous, but each time BF learns something until in the final defence he is successful. Originally published in the U.S. Infantry Journal, now Army, April 1905. A classic in small unit tactics in the British and U.S. Army, this book is recommended, without qualification, for the modern professional soldier. Lieutenant Backsight Forethought (BF to his friends) has been left in command of a 50-man reinforced platoon to hold Duffer’s Drift, the only ford on the Silliassvogel River available to wheeled traffic. Here is his chance for fame and glory. He has passed his officer courses and special qualifications. Brigades are working out various ideas at training centers, says the head of the service’s Cyber Command. Bringing network-attack-and-defense skills to tactical units is the next step in the evolution of U.S. Army cyber capabilities, the head of the service’s Cyber Command said. “We’re going to have some capability there — whether it’s resident permanently at a brigade combat team or a division or a corps, but it’s where we see the future,” Lt. Gen. Paul Nakasone said Thursday at the Defense One Tech Summit in Washington, D.C.
Nakasone leads 41 Army Cyber Mission Force Teams, a good chunk of the 133 teams coordinated by U.S. Cyber Command that reached initial operating capability last year. Initially, the Army created these specialized groups “just like the other services, really for the flavor of joint operations,” he said. Now, Nakasone said, it’s time to begin figuring out how the Army can decentralize that capability. And they’re not alone. The U.S.Air Force has begun pushing cyber responsibilities down to the squadron level as well. “The Army has now looked at it and said, ‘What do we need at the tactical level? What does a brigade combat team need?’” he said. This Unit 42 blog provides an update on the threat situation surrounding attacks using the Petya Ransomware which are impacting organizations in Ukraine, Russia and to a lesser extent around the world. On June 27th, 2017 we became aware of a new variant of the Petya malware which is spreading through multiple lateral movement techniques. One technique includes the ETERNALBLUE exploit tool. This is the same exploit the WanaCrypt0r/WannaCry malware exploited to spread globally in May, 2017. At least 50 organizations have reported impacts from the malware, including government and critical infrastructure operators. Most impacted organizations are located in Ukraine, but global organizations with offices in Ukraine have seen the malware spread within their network across national borders. Today the digitalization of crisis and conflict is a fact. Hacks, malware, and fake news are increasingly taking the place of planes, bombs, and missiles. Cyberspace empowers adversaries from across the globe to challenge our security with a mouse-click. Worldwide criminal cyber-attacks such as the WannaCry ransomware, the aggressive use of social media by Daesh to lure people into terrorism, or the alleged role of Russia to spread fake news and sew confusion in our transatlantic societies are just a taste of more to come. For NATO, it means that the Alliance is faced with an evolving complex threat environment. State and non-state actors can use cyber-attacks in the context of military operations. In recent events, cyber-attacks, leaks, and espionage have also been part of hybrid warfare. Cybersecurity incidents can have geopolitical implications and potentially pose threats to the safety, security, and economic well-being of the Alliance as a whole. The critical question NATO is facing now is how to protect itself and its member states against hostile cyber power. The recent “ransomware” events created headaches and headlines — but also masked a greater cyber-issue: chaos and disruption on the Internet as the new normal. Earlier this week, in fact, the Alliance for Securing Democracy, a new effort headed by former U.S. national security officials, formed as a separate, nongovernmental program to investigate Russian cyber-meddling. 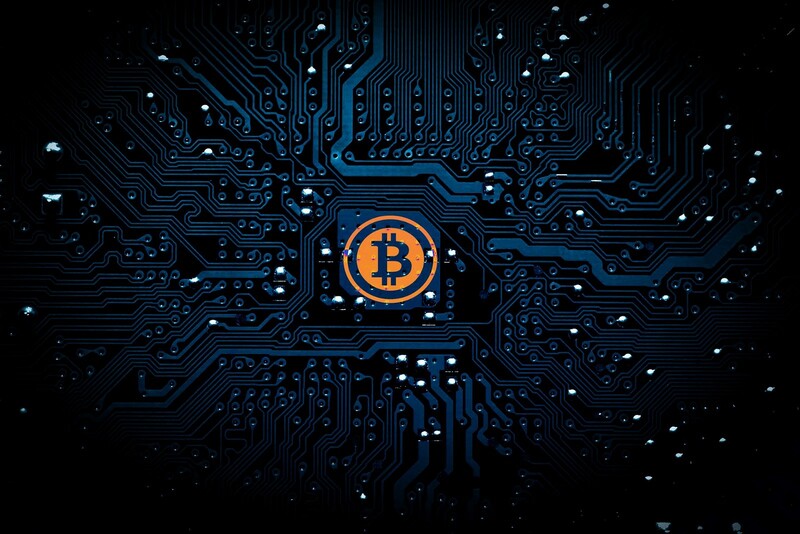 A number of analysts described the Petya/NotPetya incident of June and the WannaCry event in May as ransom attacks, aimed at gaining as much bitcoin as possible. But our analysis of cyber-coercion highlights how ransomware events such as the Petya are often strategically motivated and less about gaining funds than they are about sending a signal. The primary goal instead appears to be limited destruction through malware wiping systems. As of May 30, the Identity Theft Resource Center reported 698 major data breaches at different U.S. organizations. These numerous breaches represent over 10.2 million compromised records. It is no secret that cybersecurity is in high demand. To gauge attitudes and plans of the industry’s most experienced, highly trained, top professionals, Black Hat conducted a survey. With a margin of error of +/- 4 percent, Black Hat found a clear and imminent threat to the safety of critical infrastructure within the next 24 months. Out of the 580 top cybersecurity and information technology professionals surveyed, 60 percent believe the U.S. will experience a successful cyberattack on critical infrastructure within the next two years. Of the remaining 40 percent, 30 percent chose to remain neutral on the matter while 10 percent believed the U.S.’s cyber defense would prevent any such attack. In addition, the survey identified the top security threats that professionals are worried about. Fifty percent of the individuals surveyed found the biggest threats to be phishing, social engineering and social network exploitation efforts and 45 percent were more worried about sophisticated and targeted attacks on an organization.